A 2016 meta-analysis of 30 studies found no link between high cholesterol and mortality. Sixteen of the studies found the opposite of “the cholesterol hypothesis” — which for decades has stated that high cholesterol increases risk of death by cardiovascular disease. Conversely, those with the lowest cholesterol levels had the highest mortality rate, the study found. Researchers looked at 28 studies. Twelve found no link between LDL cholesterol and mortality, but 16 found that lower LDL cholesterol was linked with higher mortality risk – the opposite to what was expected. Only nine studies looked at cardiovascular mortality link specifically – seven found no link and two found the opposite link to what was expected. The study was carried out by researchers from the University of South Florida, the Japan Institute of Pharmacovigilance and various other international institutions in Japan, Sweden, UK, Ireland, US and Italy. Cholesterol serves many functions, including making cells less deformable, preventing crystallization, and allowing for cellular fluidity. Cholesterol is necessary for the body to create special cells like synapses, and synaptic loss correlates with cognitive impairment. While high levels of cholesterol appear to be beneficial, low cholesterol may make the body more vulnerable to malfunction. “Cholesterol levels also have some association with cancer, infection, and liver disease: subjects with high cholesterol levels have lower incidence and mortality rates from these diseases,” wrote the authors of a 2015 Japanese study. Meanwhile, many doctors worldwide attempt to reduce patients’ cholesterol levels with diet and drug recommendations, including statins. 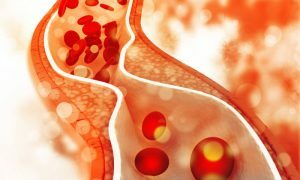 “Patients with the highest cholesterol levels had significantly better outcomes, while those with the lowest cholesterol levels had the highest mortality. The same trend was also observed in those taking statins… low cholesterol levels predicted less favorable outcomes in patients with heart failure whether they were taking statins or not,” the researchers wrote.